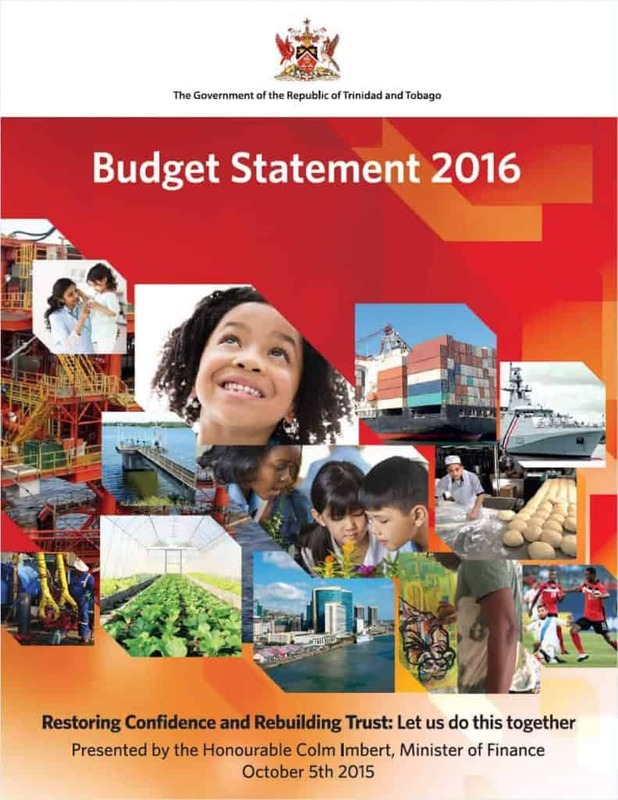 The Minister of Finance, Honourable Colm Imbert presented the 2016 Budget Statement in the Trinidad and Tobago Parliament on October 10 2015. This post will focus on the ICT related aspects of the 2016 Budget Statement. inadequate broadband service coverage in many areas which remain unserved and underserved. We will continue to collaborate with the World Bank Group to widen our broadband infrastructure as well as to eliminate the risk of having international connection in only one station. All schools will now be equipped with a technological capability with adequate training for our teachers. underpin an expanding knowledge-based society. Madam Speaker, we believe that every citizen and every business should be encouraged to take an active part in enhancing their own security. incentives and concessions to encourage actively citizens to install suitable CCTV and alarm systems in their homes and businesses in 2016.